Carrie Wolinetz, Associate Director for Science Policy and Acting Chief of Staff to the NIH Director. Reed Cordish, Assistant to President Trump for Intragovernmental and Technology Initiatives, was also in attendance. Based on the latest correspondence by Dr. Collins (below, dated August 8, 2017), it is clear that our health departments have not only never conducted adequate vaccine safety testing either pre- or post-licensure, but in fact refuse to conduct such testing. It can’t be acceptable, for example, that the Hepatitis B vaccine given to one-day-old babies was only safety tested for five days before licensure without even using a placebo group. It is also unacceptable that Dr. Collins refuses, in the same manner the CDC has refused for decades, to conduct a single retrospective comparison of health outcomes between vaccinated and completely unvaccinated children despite the fact they are already sitting on the data necessary for this study as confirmed by the Institutes of Medicine. Below are email and letter correspondence between Children’s Health Defense and NIH in chronological order. It is important that the American people see this correspondence and witness first-hand the foot dragging and obfuscation by our public health servants; those who should hold the largest public health intervention in history, vaccines, to the highest standards to prevent injury to previously healthy children. Tell NIH and President Trump that you want vaccine safety science! While the benefits of vaccination may be established, the risks of vaccination have never been established, and no effort whatsoever is being made to identify what injuries are caused by vaccines and which children may be susceptible to such injury. 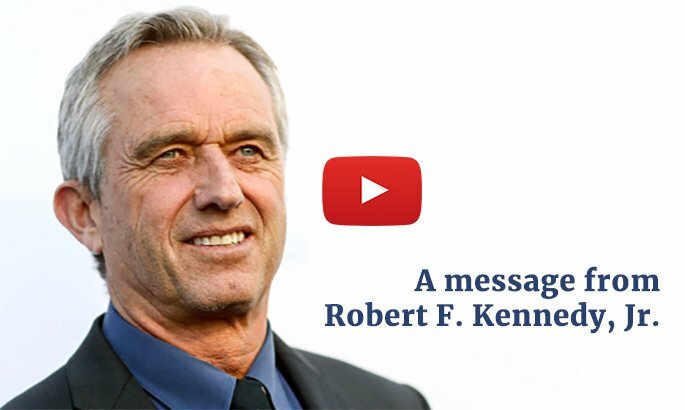 Robert F. Kennedy, Jr. and the Children’s Health Defense believe we can protect these children, therefore it is difficult to understand why our Federal health agencies refuse to conduct the obvious science needed to do so. Nothing is more important to our children, the future of our country and our planet. Require that vaccines go through the same rigorous approval process as other drugs. Require mandatory reporting of vaccine adverse events and automate the Vaccine Adverse Event Reporting System (VAERS) and Vaccine Safety Datalink (VSD) database. Ensure everyone involved with Federal vaccine approvals and recommendations are free from conflicts of interest. Support fully informed consent and individual rights to refuse vaccination. Please write a personal letter to Dr. Francis Collins at NIH to tell him you want the necessary vaccine safety science conducted, using the tools available to him now, to protect children from vaccine injury. Feel free to use any or all of our solutions listed above. Please be sure to forward a copy of your email to us. We will make sure your letters get hand-delivered to the White House.